Excellent week of with many great things happening on campuses. Teachers are keeping the students engaged and driving forward. We are now in the full swing of the testing season. 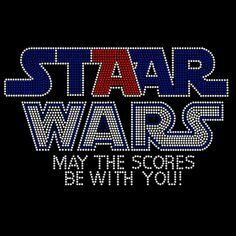 Between STAAR and AP testing, there is a lot to be done. As chaotic as things seem, it’s obvious everyone has done everything needed to prepare our students. I know they will do well because they have such a great support structure in place with the teachers, administrators, and ancillary staff. As we move closer to the summer, take a look back and see how well the students have grown throughout the year. Internet Explorer Flaw Has Been Resolved – website – Earlier this week it was revealed that there is a flaw in Internet Explorer that is making computers vulnerable to attacks by hackers. This caused a lot of panic amongst many people. Within the district, we were not vulnerable. Our network firewalls protects us from these types of issues. Generally speaking, this flaw affected virtually no one. The number of people that ended up victims of due to this flaw were extremely small. Fortunately, Microsoft moved fast to correct this issue and has published a fix. All you need to apply the fix on your home computer is to run your Windows Updates. You do NOT need to do this at school, you are already protected. Big List of Educational Grants – website – Many teachers ask about finding educational grants. There are many different websites and companies that offer grants. Here is a site that posts educational grants as they find them. Get a roundup of educational grants, contests, awards, free toolkits, and classroom guides aimed at helping students, classrooms, schools, and communities. Check the page weekly to get the latest updates! 50 Inspiring TED Talks For Teachers – website – The communication explosion reaches its peak when you explore the endless avenues running through TED Talks. Moreover, the title educator embodies many forms within these talks. So it’s precisely for this reason that any educator benefits from so many of these talks. Each speaker reveals his or her passion of a view or a subject with the enthusiasm of a first-year teacher. This transition will take full effect May 12. For the time being, I will continue to serve the four high schools and special sites. Technology Staff Development Opportunities – Log into ASCEND to for new offerings. The CITS is deep in to preparing for INTERACT 2014, but the summer staff development schedule will be coming later.